The Assange Affair: Washington Moves Against Rafael Correa, Is Ecuador’s New President Lenin Moreno a “US Asset”? Now Moreno has taken another step that highlights his character as a blackguard. Correa, realizing that he and his family were in danger, moved to Belgium. 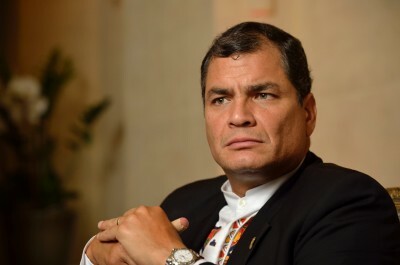 An Ecuadorian court has now ordered the Belgians to detain Correa and extradite him to Ecuador on a fabricated kidnapping charge. Here is a news report from RT. Notice that RT has accepted Washington’s characterization of Assange’s journalism as “controversial online political activity.” The group-think that characterizes the Western media is now reflected as well in the English language Russian news organization.